Joaquin Phoenix and Rooney Mara are good actors but not right for this movie. Joaquin Phoenix an atheist himself, and Rooney Mara brought nothing to the movie to render their roles credible. Neither actors have the soul to accurately portray the spirit of Jesus and Mary Magdalene. Bible truths were twisted and omitted out of scenes altogether. There were many inaccurate parts to this movie and I will attempt to discuss some prominent ones. Jesus played by Joaquin Phoenix is portrayed as a tortured soul and there was no softness and deity about Him at all. His face looked harsh and twisted and his eyes did not reflect the Son Of God- God incarnate. They say that the eyes are the windows to the soul, well, in this movie there is no soul. The real Jesus has two natures a human and divine nature, of which I didn’t see any. In the movie, Jesus and Mary Magdalene had this exclusivity thing going on between them and their smirk was unreal. In real life they are a couple. The bible does not depict Jesus and Mary Magdalene in that way. There was no sexual connection between them. Jesus was solely focused on the will of God. The twelve apostles are really insignificant in this movie and it makes Mary Magdalene the heroine and forerunner for the movement. Biblically, in Matthew 16, Jesus gives to Peter the keys of the kingdom. The Church was founded upon Peter, one among the twelve is chosen to lead. The movie ends with Mary Magdalene and a group of other women who get behind her, to lead instead. Peter is very judgemental and Mary leaves him and the other apostles very disgruntled which is untrue. In the movie, the agony in the Garden of Gethsemane scene, was very inaccurate. Jesus didn’t ask the apostles to keep watch, Jesus is not agonising over what was to come and there was no communication with Father God. It didn’t show Jesus’ fear and human nature and how He deals with his agony. There was no cutting of the servant’s ear. In John 18, Simon Peter, who had a sword, drew it and struck the high priest’s servant, cutting off his right ear. 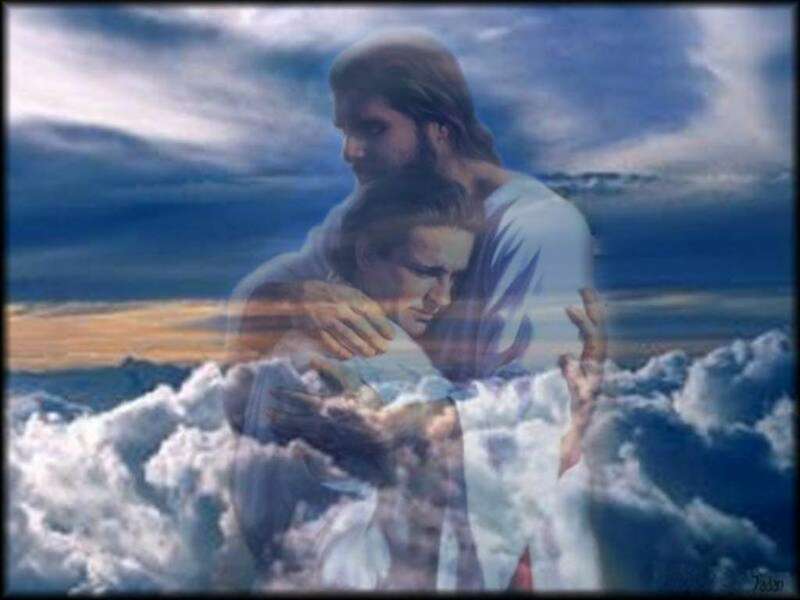 These events are really important as they depict the gentleness, the human and divine natures of Jesus. The Last Supper being the crucial part in the bible, where Jesus washes the disciples’ feet to show that we should be like servants for one another, was not depicted at all. The “upper room discourse” (John 14-16) and how Jesus through prayer, instituted The First Eucharist as the real presence in the bread and the wine of Jesus’ body in communion, was omitted. Good Friday has many flaws in the movie, Mary the mother of Jesus was hardly there and yet she was the steadfast woman disciple of Jesus from beginning to end. The women didn’t even meet Jesus on his way to Calvary, Veronica didn’t even wipe his face. The conversion of Simon of Cyrene and his bearing of the Cross for Christ which is dramatic because he suddenly walked to Jesus to help him carry his cross didn’t happen It failed to show conversion of ordinary people. The other two thieves crucified beside Jesus weren’t really visible and the dialogue between the good thief and Jesus was not mentioned. The good thief’s dialogue with Jesus was an act of profound and public confession, contrition, and repentance for his sins and Jesus forgave him and took him to heaven with him. FORGIVENESS AND REPENTANCE ARE TWO IMPORTANT GOSPEL TEACHINGS OF JESUS but they weren’t important enough to be shown. If not for our salvation which only comes through Jesus Christ, what’s the point of this movie? Could it be for the attack and blasphemous attempt to discredit The Son of God, the Son of Man? Could it be to raise the power of women and to diminish the power of men, when we re all equal in the eyes of God? This and other biblical movies should not be written without consultation from theologians of biblical truth. Nobody makes movies about Islam, Buddhism, Hinduism or other religions, why? Would it be because of riotous consequences that would follow? These movies unfortunately, can do a lot of damage to undiscerning minds, to people who are searching and beginning their faith journey. I say beware of false information, get your sources right, ask people who are practicing the true religion for the whole truth and beware of “Hellywood” as The Vigilant Christian sais. I will finish by saying that Jesus is the authority, Jesus is the lawgiver, he humbly came to earth to teach us the truth in order to save us. In the bible, people flocked to Him, people couldn’t get enough of Him. In the movie, people were not part of the equation and the depiction of Jesus showed a twisted and tortured soul which didn’t make me or anyone want to be near Him. Satan knows the bible better than anyone else, his ploy is to use the truth and twist a lie to make you believe, he is the master of deception. 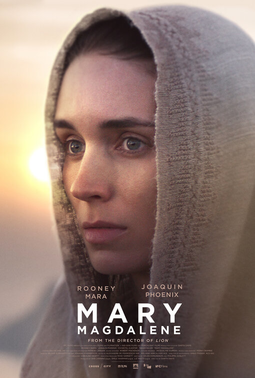 I love good christian movies that stay true to gospel truths, not trumped up ones that try to make a political statements like this one, that Mary Magdalene was the heroine instead it was Jesus first and then the 12 chosen apostles who were men. Thank-you for that, May God bless and prosper you. Like me on Facebook or Follow me for all the latest posts. Thanks for taking the time to read my posts, please visit often for more great posts.